I am a firm believer in God, the creator of all things good, including the natural cure for cancer. I believe that God is far smarter than man, would you agree with me? God creates perfection, gives us rules to follow, and gives us a free will. It is this free will that in many cases creates problems. IS WHAT YOU EAT KILLING YOU? Even in this day and age we are told that we should not do certain things because they are bad for our health. But because of that free will, a lack of common sense, a weakness from temptations, or all of the above, we do things that eventually will make us sick. But there are also many things that we do in which we have no solid knowledge in the truth of the outcome and/or the way in which to properly fix it once things do go wrong. So on this website I will give you the TRUTH about cancer and why you can be completely healed of cancer today without drugs! Now you may be wondering how I can make such a claim, especially since nothing has been made public on the evening news. Because I have facts, common sense, knowledge, and God on my side. What do the majority of cancer doctors have on their side? The majority of cancer doctors (oncologists) that treat cancer with either surgery, chemotherapy, and radiation (which both cause cancer as well as kill it), will not even entertain the thought of treating or healing cancer with anything natural that God has given us. Why? Yes I had cancer 15 years ago and I was fully healed of it by an all-natural process from items that you can get on the Amazon website and from a farmers market. For more on what I actually took, you can read my story on my About Me page. Another very important part of my healing protocol is what I am offering on this website. I became educated in the truth about what cancer really is and that knowledge made me realize that cancer isn’t really as scary as many believe it to be. Fear is a great way to control people, but knowledge will set you free. Yes cancer is still a bad disease but it can be easily eradicated once you understand what it really is and how you can get it. It is also not scary once you learn that everyone on this planet, including you, creates cancer cells in their bodies every single day. Yup! That is right! You, the person reading this, has tens of thousands of cancer cells within you right now! How can that be since you do not have cancer? Because cancer cells are a natural process that occurs in our bodies all the time. YES! Cancer cells are a natural process. But the reason you do not have cancer, for those reading this who have not been diagnosed, is because your body’s immune system quarantines these cancer cells every day and kills them before they can do any harm. Your immune system is an AMAZING protector. The reason why everyone on planet Earth not diagnosed with cancer is cancer free regardless of the tens of thousands of cancer cells within them is because of their God created and given immune system. So you see, THE WAY TO HEAL YOURSELF OF CANCER IS ALREADY IN YOU! Take a look at this quick 2:21 video on the causes of cancer and why your immune system can fail you and give those cancer cells within you a chance to grow. Then we will continue about the God created immune system. 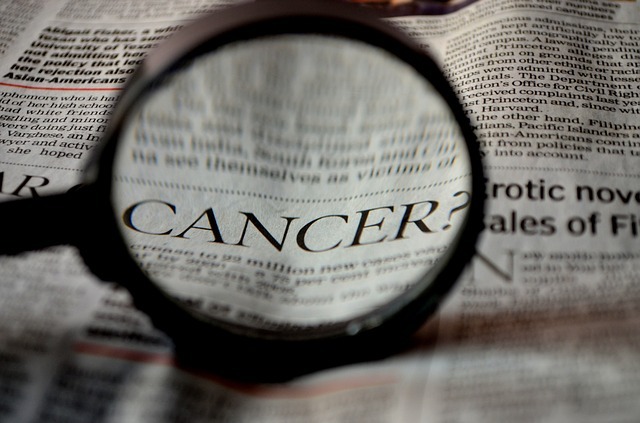 As you have heard in the above video by Ty Bollinger, Best Selling Author of Cancer – Step Outside the Box, he has confirmed what I said above, that you and everyone else alive has cancer cells within us every day. You will also hear many other doctors say that too on this website. So ask yourself this question. If a properly functioning immune system is keeping the cancer cells in a person from getting cancer, then wouldn’t restoring the immune system to full strength heal someone with cancer? The logical answer to that question is YES! This is exactly what I did to my immune system when I had cancer, and then my immune system eventually killed off my cancer. There is no single supplement, procedure, drug, or any doctor in existence that will heal you of cancer. ONLY your immune system can! When you keep your immune system strong through natural means only, you can prevent cancer and the common cold. If you should get sick, then providing the immune system the natural fuel it needs while avoiding that which can weaken it will eventually heal you. It is that simple! A strong immune system is God’s given natural protector for anything that can harm you. Synthetic drugs, vaccines, and especially chemotherapy (poison) and radiation (burning), will kill your cancer cells and immune system at the same time. Here is another video, about 4:18, with an interview of Bob Wright, director of the American Anti-Cancer Institute. He says that cancer is a disease of the immune system, and logically when you think about it, he is correct. Again we hear that it is a healthy and strong immune system that will heal us of ANYTHING. When God created the human race he didn’t leave out a single thing that can help us to stay healthy. It is very clear, especially from those of us who have been healed of cancer that keeping a strong immune system is key! If you have the knowledge in how to go about keeping your immune system strong, and you know that it is a strong immune system that kills cancer cells on a daily basis, then common sense and logic should tell you the natural cure for cancer. It is not hard to understand it. On this website you will be educated by a plethora of YouTube videos from cancer doctors who are not afraid of telling the truth about cancer and how to eradicate it naturally. You will also watch videos from cancer researchers and survivors who have taken the all-natural approach. I will also be giving my personal opinion on many topics covered in the videos based on my personal experience with cancer and my research on immunology. So if you have any questions or comments on what you have just learned on this page, please leave them below and keep your immune system strong. This is a very important and timely website for many of us whether we’ve been diagnosed with cancer or not. I particularly like what you are stressing here that cancer is an immunne disease, The cure for cancer really lies in strengthening our immunne system. This comes partly from nutriton. Doctors are not trained in nutrition although we thank God for the few who are now filling the gaps by studying these areas and passing on their knowledge. Keep doing this, you have a lot to offer with this site. Thank you Kavinah. I will not stop because I have truth on my side. But if people are not smart enough to even entertain the thought that they have been mislead all of these years, then they have no one to blame but themselves. Yes that may seem harsh but think about the situation. If a person does not look at every angle, especially a natural approach when it comes to their health, then when they take a turn for the worse they only have themselves to blame. How can a person put all of their faith in someone else to keep themselves healthy? No one can know how you feel but yourself and only you can know how to make yourself feel better when educated. Are people that lazy that they cannot learn the simple truths of how the body’s own immune system works? I learned it and cured myself of cancer just like hundreds of thousands of others the world over. Though I am NOT saying to become a doctor to yourself, I am saying to gain knowledge of how the immune system works and question all things that weaken it. This site is so important to us. Many families are touched by cancer each year and mine not excluded a recently . Cancer surrounds us and that s right. It is inside us and outside so education is valuable on how to avoid. Thank you Aneta for your comment. Cancer can be totally treated and healed through natural means. This is not my opinion but scientific fact. There are hundreds of studies and clinical trials that prove the effectiveness of the natural approach to treating cancer. Anything that can be done to naturally strengthen our immune systems is a great anti-cancer protocol, because it is our immune system that kills cancer cells. The best defense in the treating and healing of cancer is to be educated about the truth. The majority of western medicine cancer doctors will never discuss natural treatments with their patients because they either do not know about it or are afraid to lose their license to practice medicine for actually healing someone of cancer. The latter reason, in my opinion, is a sin against God. Love this site. I healed myself of Melanoma cancer by building up my immune system and watched as it began shrinking to the surface and it was easily removed by a dermatologist. Did not have Chemo/radiation! Keep up your great work …knowledge is power!! I also have 2 websites about healthy living and healing your own body. Getting the truth to the masses is my goal. Thank you Judy. I will continue to spread this life saving information to the masses. EVERYONE NEEDS TO KNOW THE TRUTH, that cancer can be totally healed and prevented from the very same immune system that God gave each and everyone of us the day we were born. A healthy and vibrant immune system is the only thing that will heal you of cancer and then keep you cancer free. But both chemotherapy and radiation kill your immune system cells right along with the cancer cells and then go on to cause secondary cancers because they cannot kill the cancer stem cells and actually make them more active. Cancer stem cells make up only about 1 percent of the cancer cells in a tumor. Watch the 1st video by doctor Tony Jimenez MD about cancer stem cells on my post here. Another thing to consider or ask yourself is this, if chemotherapy is so good, why does it make your hair fall out, your skin to lose its color and make you feel downright like death? Why do those who handle chemo have to wear hazmat suits preparing it for use? Why do doctors stand far off when radiation is being used on you? Because they know that what they are giving you can give them cancer if THEY are exposed to it.